Doctor Chad Hansen, a doctor of Chiropractic, and recent graduate of New York College of Chiropractic, will be running this new and upcoming clinic. Dr. Hansen grew up in Tioga County, NY in the town of Owego, where he attended Newark Valley School District. 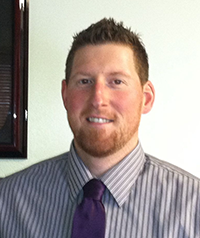 During his childhood, Dr. Hansen played basketball, and ran track in high school. He attended undergrad at the SUNY College of Oneonta, and majored in biology, with a chemistry minor. In Dr. Hansen’s spare time he refuses to be stuck indoors by taking advantage of the beauty of the outdoors and all it offers. At his time at NYCC he became equally proficient in traditional manipulation, low-force techniques such as drop table and instrument assisted techniques, SOT, and myofascial therapy methods. During his clinical experience at NYCC he was able to take advantage of being the first interns to open and promote a brand new facility in Rochester, NY called the Rochester Outpatient Health Center. While in Rochester his experience consisted of actively marketing this new clinic to the surrounding communities, practice chiropractic in multi-DC supervised clinic, examined, evaluated, diagnosed, and treated patients through adjustments, therapeutic treatments and education, and interacted professionally with patients and family members to encourage sound health care practices. In addition Dr. Hansen was able to gain experience through treating a diverse population of individual unique settings at various rotation sites. These settings included the Veteran’s Administration Community Based Outpatient Clinic Medical Center in Rochester, NY where he participated in the clinical care, the development of treatment plans, and implementation of those plans including participation in patient management strategies. In general these patients here are highly complex cases with multiple conditions. Another one of his most memorable experiences was at Monroe Community Hospital which included treating patients in a long-term care hospital setting. The Inpatients comprise the majority of the patient base, presenting with a host of co-morbidities such as multiple sclerosis, cerebral palsy, stroke, Alzheimer’s, and spinal cord injuries. This setting provides an opportunity for administering multi-disciplinary care in a unique environment, including Grand Rounds and Journal Club within the hospital setting, rotations within the hospital’s Physical Therapy and Occupational Therapy departments. At St. Joseph’s Neighborhood Center which provides comprehensive health care, counseling, adult education and social work to individuals and families who lack access to health insurance, he was able to work in conjunction with their other services in order to provide chiropractic care to patients. Lastly the opportunity arose to help open another rotation site knows as Geneva Community Health where he helped provide chiropractic care to their clientele whose diverse clientele includes the local population of migrant workers through the Finger Lakes. Dr. Hansen is committed be a leader in health care by empowering the community towards health through striving for excellence in chiropractic. This is to be achieved through values in evidence based medicine, interpersonal relationships, continuous self-improvement, and efficiency. Hopefully the accumulation of these values translates to taking an active role in promoting the health and well being of individuals and of the community.